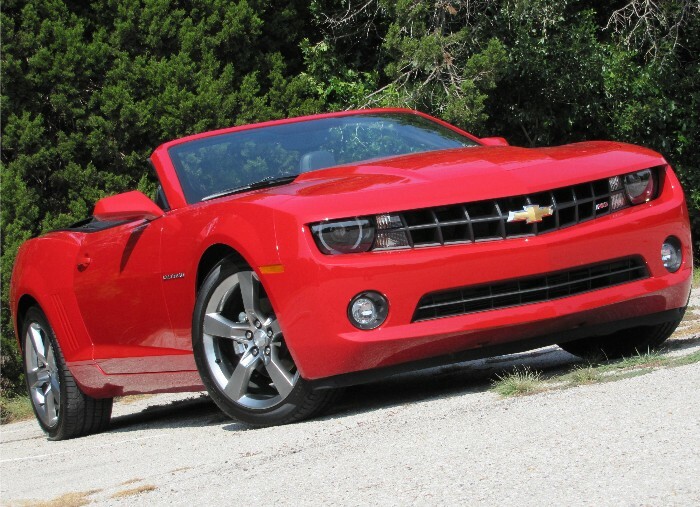 This is my last Chevy Camaro review this year I promise. Maybe. 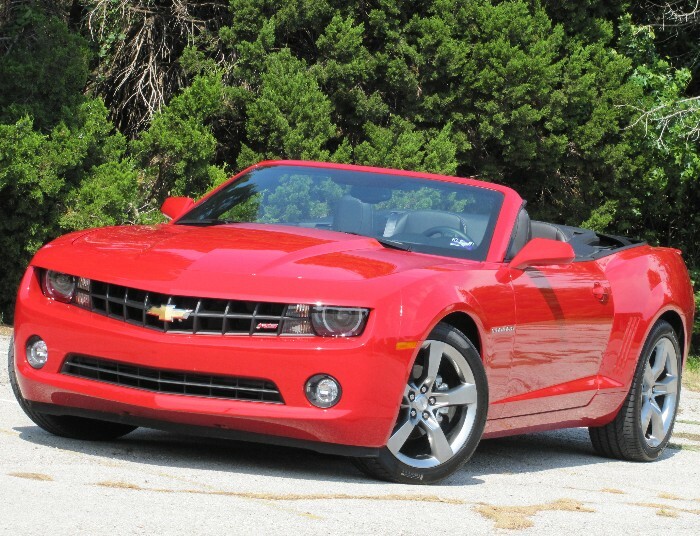 Arriving just in time for the official launch of summer was this blazing redhot Victory Red Camaro Convertible. And as luck would have it we are celebrating the second hottest June ever right here in North Central Texas. Wonderful. What that means is that either I have to be an early riser or a night owl to enjoy some top-down driving in this gorgeous creature. That or I can just sit on my porch with a cold beverage and stare at her for a while. This vehicle arrived with the V-6 powerplant under the hood, an engine that I give a big thumbs up to GM for. Last time we drove a V-6 Camaro it was paired with the six-speed manual gearbox that allowed for some very spirited driving. This time around the 3.6-liter six pack came mated to Chevrolet’s six-speed automatic with TAPshift steering wheel shift paddles. To be quite honest I never used the paddles – totally unnecessary in my opinion. 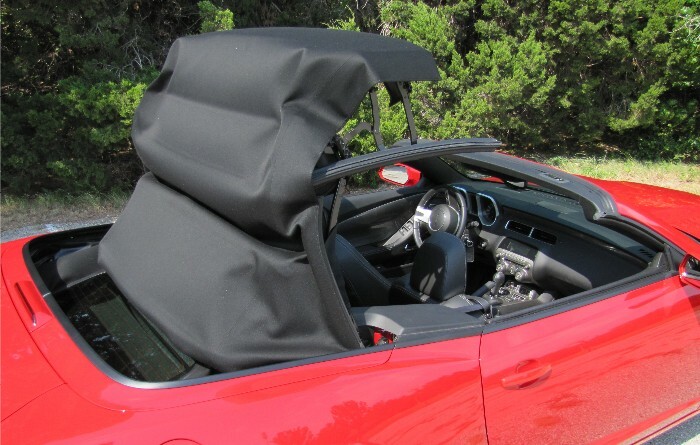 I would have much rather that money went to insulation in the convertible roof panel but more on that later. 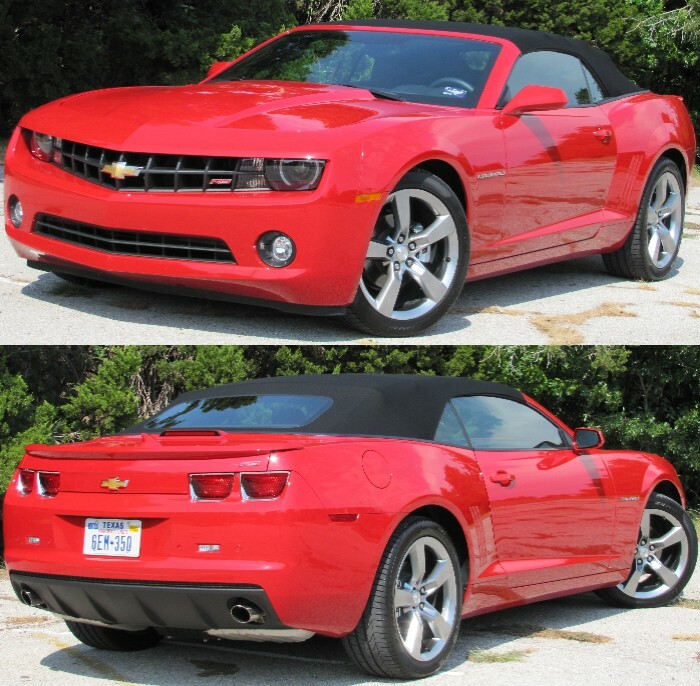 So with the new drop top model has Chevy cured its sightline problems with their pony car? In a word, no. Lowering the top allows for absolutely splendid vision from the A-pillars back, but, oh those A-pillars. About twice as thick in the convertible it seems and can hide a bicyclist at your two o’clock. But coming down the road or just sitting in the driveway you just want to drool. Did I say gorgeous? Ya’all remember Chris de Burgh’s ‘Lady in Red?’ Uh-huh. Now to the top as promised. In the Texas sun the roof panel felt a little like I was sitting under an oven broiler. The black material was gathering more solar energy than photoelectric cells and it was everything it could do for the AC to keep up. Lack of substantial insulation in the roof panel also allowed some additional road and wind noise into the vehicle as well, something not quite as noticeable in its crosstown rival pony car. 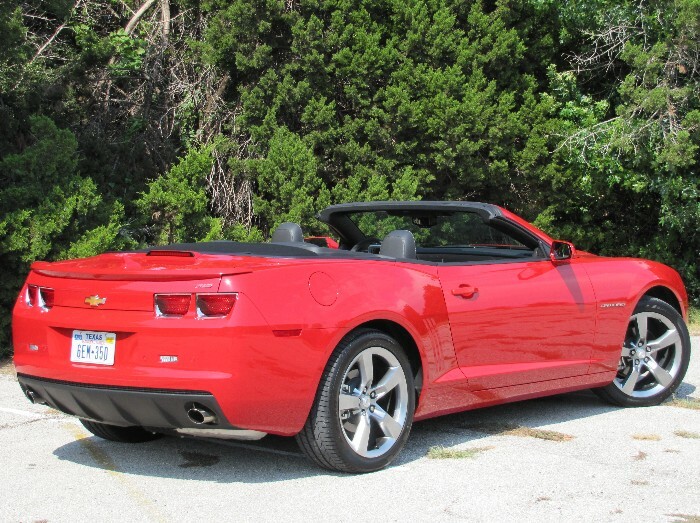 I hope Chevy sells every Camaro Convertible they can manufacture just as I hope Ford does equally well with droptop Mustangs. I love ‘em both and you will too. Next Next post: 2011 Land Rover LR4 Proves ‘Disco’ is not Dead!